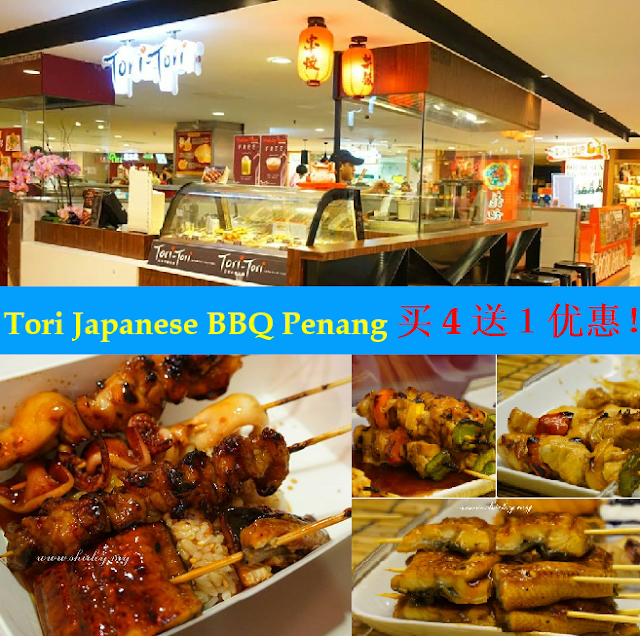 Tori-Tori Japanese BBQ is now in Gurney Plaza, Penang. It is a stall located at the basement of Gurney Plaza. It is just next to Shihlin Taiwan Street Snacks. They provide plenty of seats for customers to dine in. I love their BBQ sticks very much especially the bbq sauce. This is one of the best Japanese BBQ sticks which I have ever tried. Currently they are having opening promotion where you can get 1 FREE RICE OR 1 FREE GREEN TEA with the purchase of any 4 bbq sticks. The sauce mixed with the rice is definitely the best match ever. There is menu provided at here where you can see the food served by them with the prices together. Address: Basement Lot 170-B1-K3, Gurney Plaza, Pulau Pinang. I have got the chance to witness the process of making Japanese BBQ Sticks. The raw materials are been well-cleaned. The staff is so friendly that you may ask him to recommend you about the food. Overall, the food there is awesome with all the yakitori sticks to be heated up before being served to their customer. Customer service by their staff is excellent and also the dining location is good for a quick bite before a movie or for someone who is looking for some quick snacks!